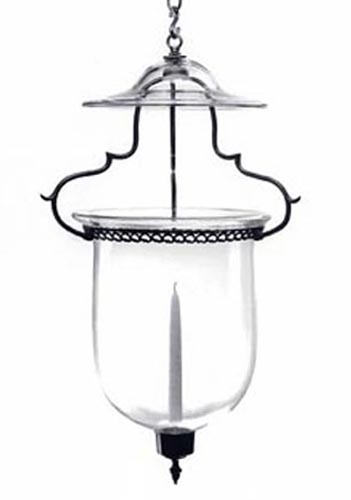 H : 22 " , W : 8 1/2 "
H : 27", W : 11 "
H : 18 1/2 " , W : 8 "
A fine mid-eighteenth-century hexagonal hall lantern reproduced in two sizes. 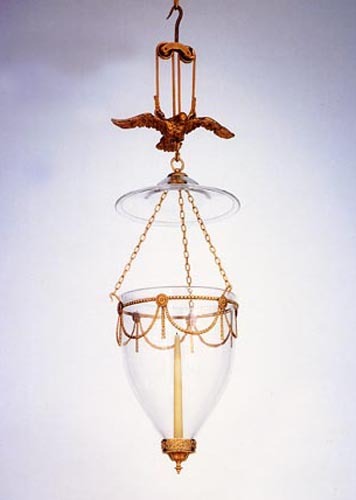 The center section with applied cast rococo decoration of leafage and flowers suspended from six reverse C- scroll arms joined by baskets of flowers. 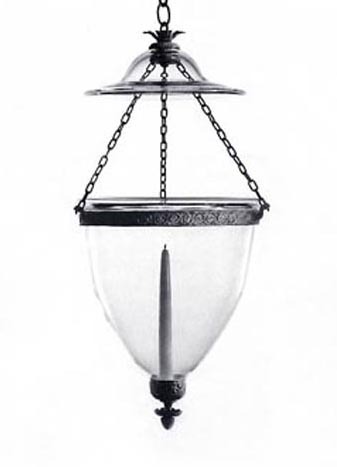 Height : 22", Width : 12"
Shown wired with a three and four light cast fittings. 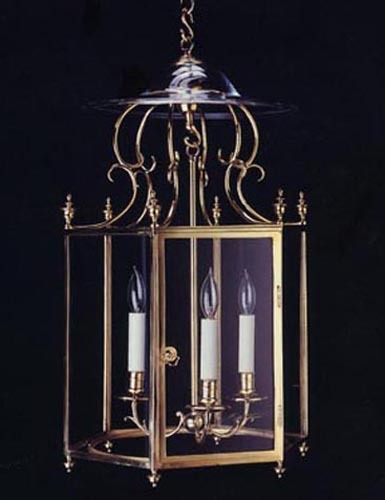 H : 27 1/2", W : 11"
H : 27 " , W : 11"
H : 27", W : 11"
An exact reproduction of an Adam period brass hanging lantern. 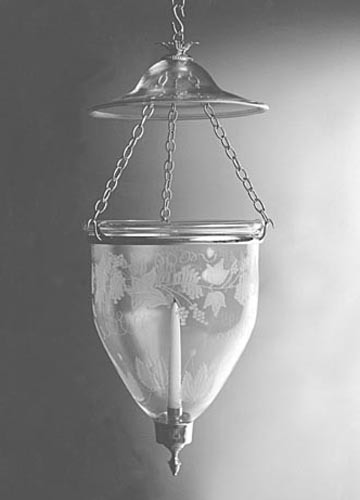 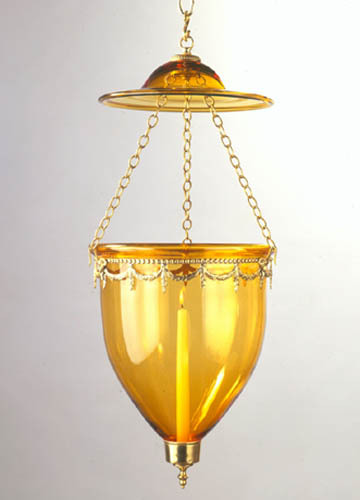 Shown hung with a gilded lead dove counterweight and brass "spectacle" pulley. 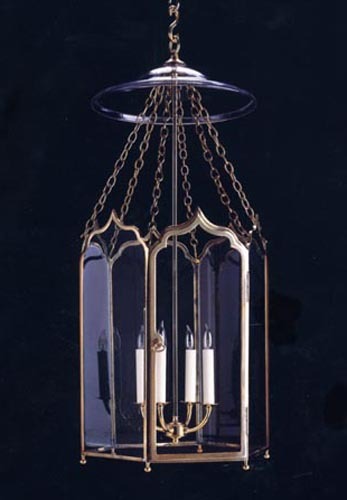 Height : 27 " , Width : 11 1/2"
Also available with faceted cut glass drops. 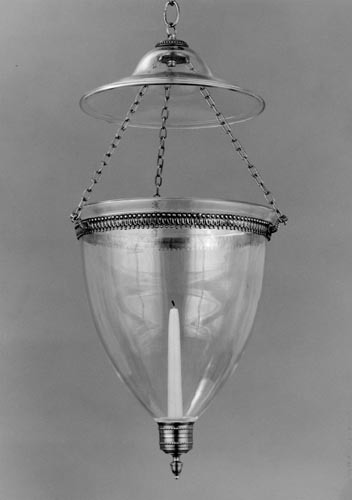 H : 16", W : 7 1/2"
H : 27" , W : 11"
An Irish hall lantern of the late eighteenth-century precisely reproduced from the brass original by I. Hanbury of Dublin. 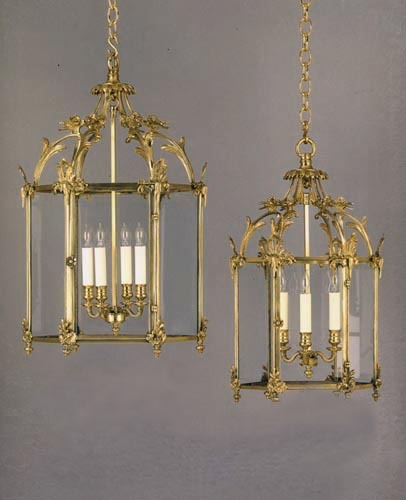 Hexagonal in form, the slender gracefully shaped panels with agee headings. 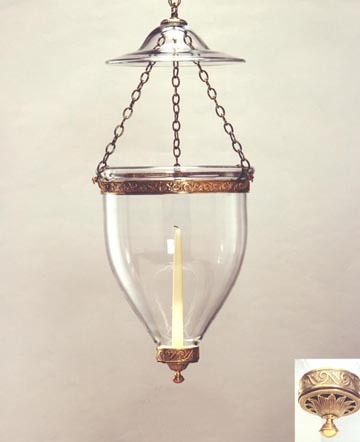 Height : 31 1/2", Width : 16"
H : 22 1/2" , W : 13 1/2"
H :17 ", W :12 1/2 ", D:7"
A rare Irish hall lantern precisely reproduced from the mid-eighteenth century original in our collection marked HANBURY, DUBLIN. 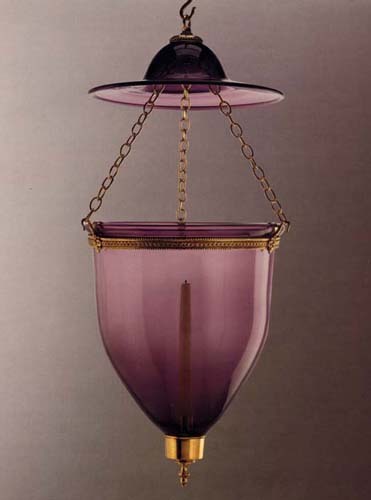 Malahide castle, County Dublin, has a lantern of identical form by the same maker. 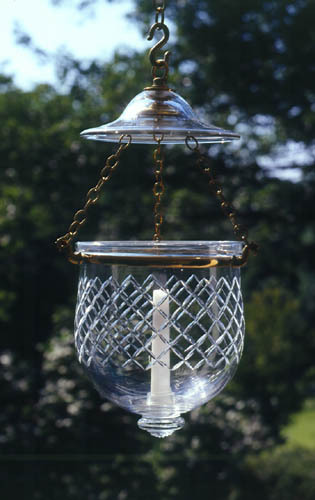 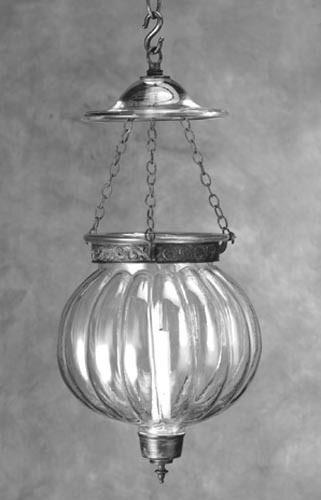 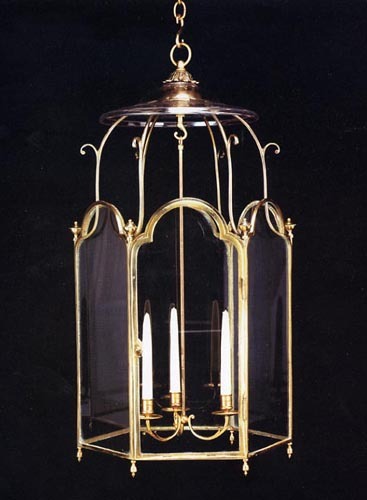 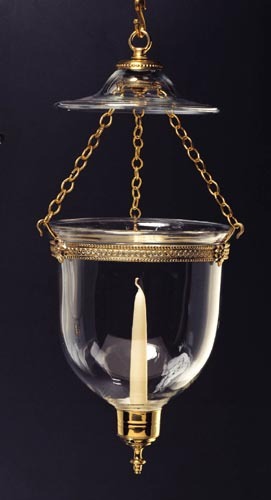 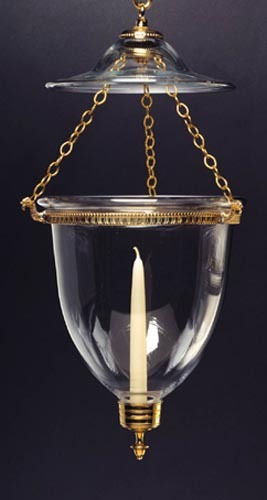 Height : 34" , Width : 21 1/2"
All lanterns include a brass canopy and 3 feet of chain. 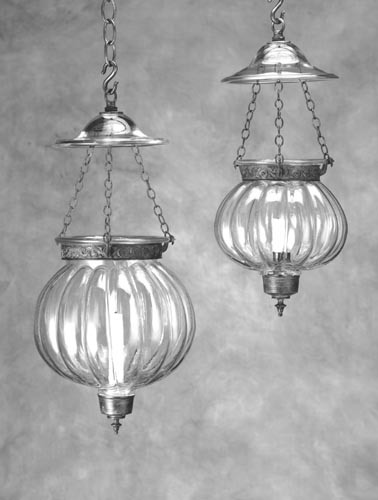 Most lanterns are wired with a 3 light cluster, however, the larger lanterns can be wired with a 4 or 5 light cluster.